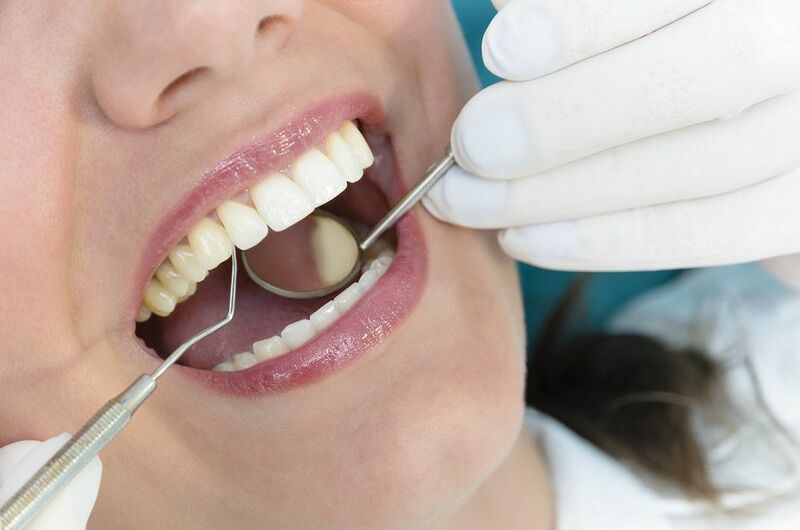 Pain in and around your teeth may be due to a deep decay, failure of teeth to grow out from gums ,gum infections from food or other foreign materials lodged between teeth , mouth ulcers or from a cracked teeth. The dentist will examine you and if required will take x-rays. (X-rays link) The treatment plan will be based on your diagnosis. 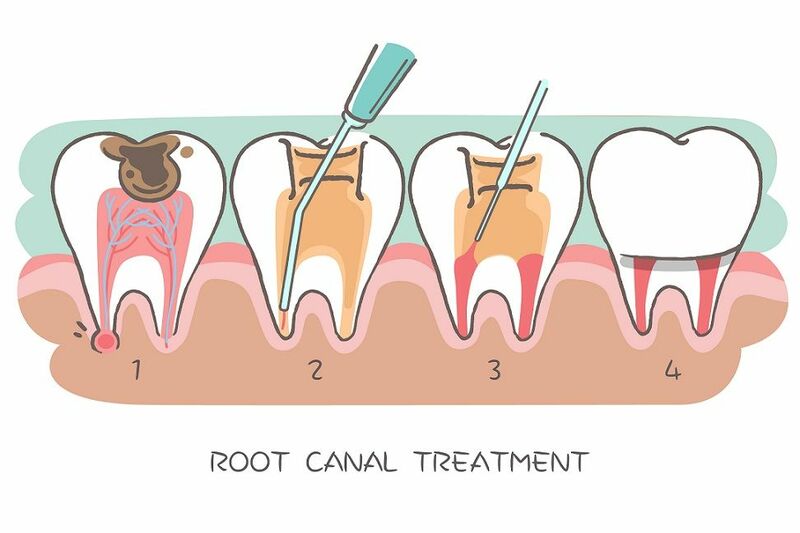 If you have a deep teeth decay, there is no need to pull out the teeth, you can save it with the root canal treatment. 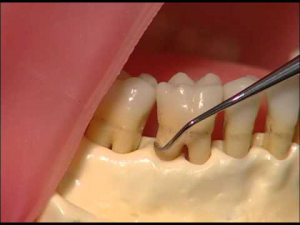 (2) Cleaning and sealing the infected area inside the tooth. Technological advancements like apex locators, flexible rotary tools, laser root canal, microscope assisted dentistry, in-house computerized lab, In house Cone Beam CT have reduced the duration of treatment and the discomfort involved. 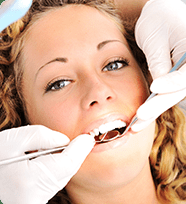 Precious Metal Crowns improve durability and ensure zero allergies. We bring to you the unique Laser assisted rot canal treatment. With laser, treatment is done with unmatched precision and minimal damage of teeth. You can be free from the sound of drills. 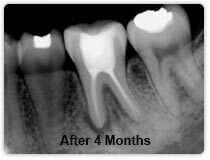 Very less pain and swelling compared to normal root canal technique. Preserves more of your natural teeth. Advanced microscopes have increased the diagnostic abilities and predictability in success of endodontic / root canal procedures. This allows us to locate and find microscopic size infected or inflamed nerve tissue. Endodontists or root canal specialists can visualize the tooth and the canals more precisely when it is magnified ensuring perfection and precision. Fewer injury to teeth resulting in faster healing. An impacted tooth is a tooth that gets blocked as it is pushing through the gum into your mouth (erupting). Wisdom teeth often are impacted. Impaction of tooth may be because there’s not enough room in your mouth for them. A wisdom tooth also might be trying to come in sideways or it might be tilted in your jaw. It may cause difficulty to clean the area ,chewing problems, gum diseases ,cyst formation and very rarely tumors. 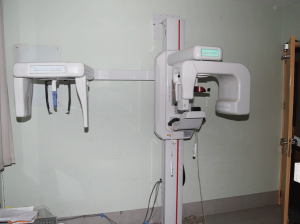 The dentist will examine you and if required will take x-rays or OPG(panoramic x-rays. (X-rays link). Minor irritation can be treated with warm salt water (1/2 teaspoon of salt in 8 ounces of water)rinses. Over-the-counter pain relievers also may help. If the tooth pain does not subside ,you will have to go for extraction usually under an antibiotic cover up. 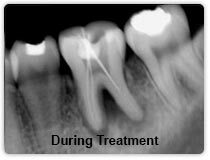 The procedure is done under local anestasia and very rarely under complete sedation depending upon tooth position and patient’s health. Many orthodontists believe that developing wisdom teeth can cause the front teeth to become over crowded, and often recommend wisdom teeth removal before or immediately after orthodontic treatment. Wisdom teeth removal surgery or impacted tooth extraction may need to be considered before construction of dentures. Sometimes the wisdom teeth erupt beneath the denture and that can cause severe irritation and infection. Generally speaking, wisdom teeth removal should be delayed in the presence of infection. Most of the time is preferable to control the infection with antibiotics and oral hygiene first. 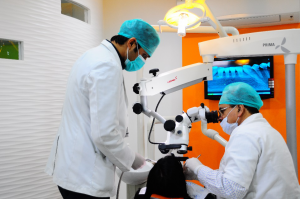 The tooth extraction of the opposing wisdom tooth is also sometimes advised but that needs to be decided during the consultation with the dental surgeon. There is always a risk that impacted wisdom teeth may cause problem , it may occur at inconvenient and unpredictable times. If the wisdom teeth appear to have a high chance of causing problems in the future, the dental surgeon may advice its removal. Mesioangular impaction is the most common and means the wisdom tooth is angled forward, towards the front of the mouth. Vertical impaction means the tooth is angled backwards, towards the rear of the mouth. Horizontal impaction means fully 90 degrees forward. Most of the time wisdom teeth with distoangulation are the easiest to extract in the maxilla and the most difficult in the mandible. Wisdom teeth removal surgery is not something people look forward to, but modern surgical and aesthetic techniques as used recently have now combined to make wisdom teeth removal surgery a much more acceptable procedure than in the past. Are you worried about a painful ulcer in your mouth that doesn’t heal? Visit our clinic and get it examined by our specialists. Ulcers can be due to a sharp tooth, stress, drug reactions, chemotherapy, radiation therapy ,improper diet, habits like smoking, pan chewing or may be a sign of early stages of cancer. NEVER ignore an non healing ulcer. 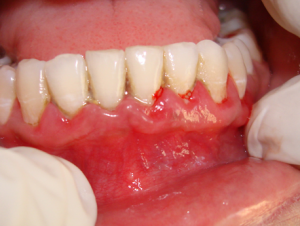 Ulcers from Sharp Tooth can be treated by reducing the sharp surface or in severe cases by pulling out the tooth. Ulcers from Chemo therapy and Radiation therapy can be given symptomatic treated with cold water switching, salivary substitutes etc. Breaking the habit with symptomatic treatment is done for ulcers caused due to habits. You should avoid extremely spicy, hot and cold food items till the ulcers heal. Application of coating agents, topical painkillers help. Get your ulcers examined a by dentist to rule out the chances of oral cancer. Even when we brush/ floss regularly, plaque build up occurs in a few nooks and corners that are not reachable to the cleaning aids. This plaque collection hosts bacteria that is the very cause of decay and gum disease. 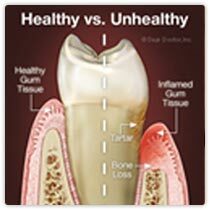 Gum infection leads to bad breath, swelling of gums , pain and if left untreated can lead to loss of your teeth . The dentist will examine you and if required will take x-rays. (X-rays link). Scaling : It is advisable to go for an ultrasonic tooth cleaning once in six months. 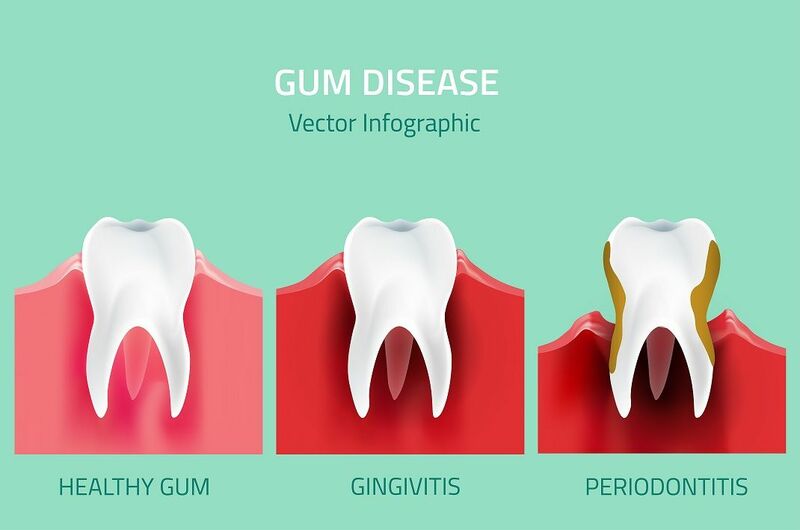 Deep scaling : When plaque build up has affected the gum’s health, causing pockets, then the cleaning has to be deep, often done in multiple sittings . Laser Curettage : Using LASERS to sterilize the pockets to rid them of the recalcitrant infections that repeatedly infect the gums.